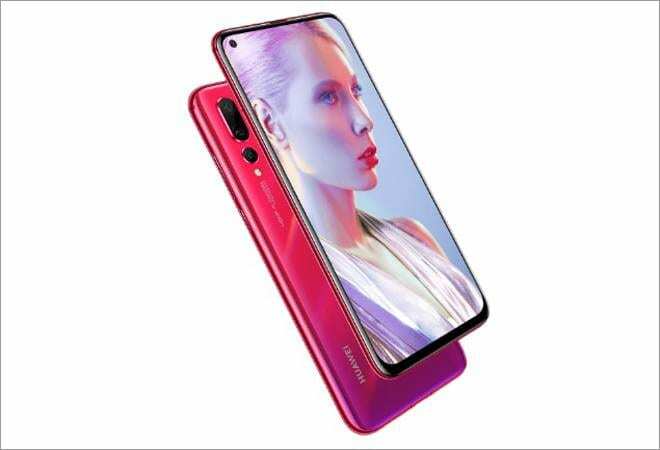 Following hot on the heels of its South Korean rival Samsung's Galaxy A8's, China's Huawei Technologies announced an all screen phone with a display hole for camera. An evolution of the notch, the punch-hole cameras are all about maximising the display area and Nova 4 does that by offering 6.4-inches of space with a 2310 x 1080 resolution. Samsung was the first company to pack a punch but Nova 4's hole looks smaller despite housing a 25 MP camera. The back camera is a massive 48 MP camera as a part of triple camera setup. Huawei Nova 4 comes with a Kirin 970 processor with 8GB of RAM. The Kirin 970 has a Mali G72 GPU, which is, considerably weaker than the Adreno line of GPUs from Qualcomm. The Huawei Nova 4 comes with Android Pie based EMUI skin, which is little bit heavier on the system than something closer to stock Android. As far as other specifications are concerned, Nova 4 comes with 128GB of storage, a fingerprint sensor on the back, 3,750mAh battery and 18W fast charging capabilities over USB-C. Meanwhile, Huawei's sub-brand Honor has also announced a phone with a camera hole. Called V-20, the phone is said to feature an even smaller hole diameter - 4.5mm versus the competition's alleged 6mm - for the front camera. Just like Nova 4, View 20 also features a 48 MP rear camera powered by Sony's IMX586 CMOS. Meanwhile, Nova 4 is currently available in China. The phone will eventually make its way to India and Europe as well. It is priced at 3,399 yuan (about $490) in China, but there's also a cheaper version that goes for 3,099-yuan ($450), which replaces the 48MP shooter on the back with a 20MP sensor.